I shot this photo off a puddle on the same day as Oil Slick Among the Clouds. It was taken first on a parking lot that had just been re-tarred. 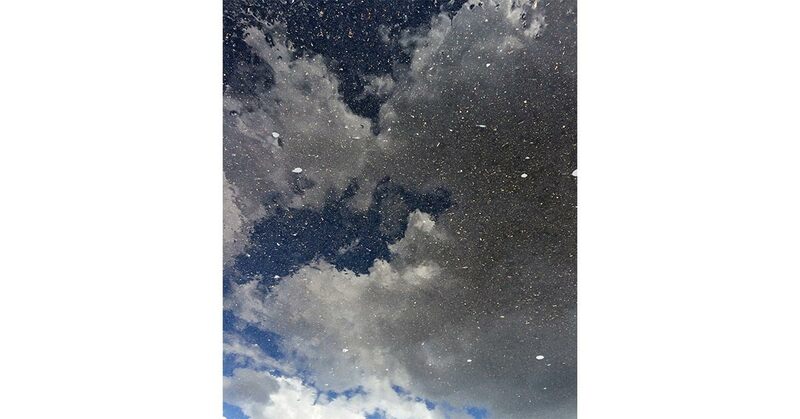 After a rain shower, there was a sheen of thin water that reflected the clouds above, blended with the asphalt rocks to create a scene straight out of the sky.